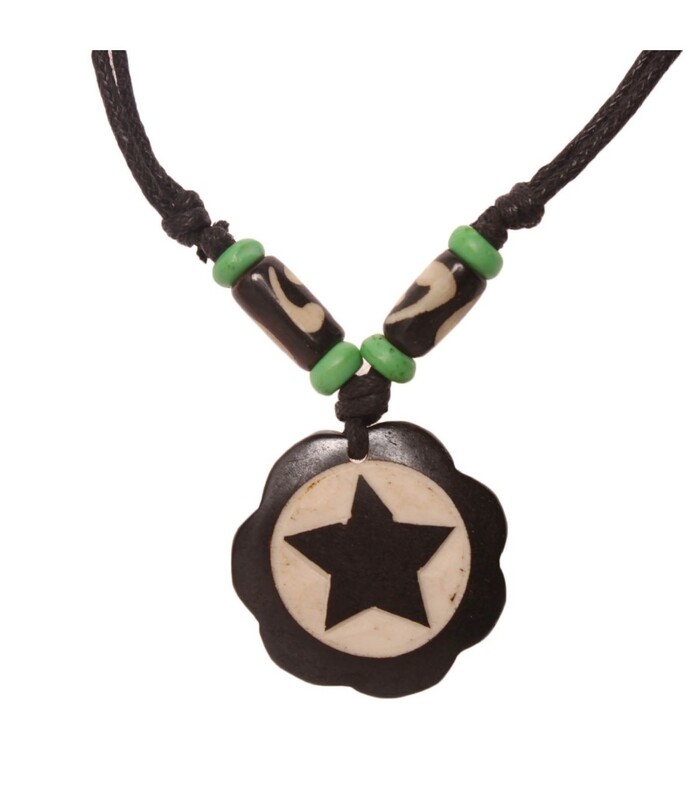 Black and white star buffalo bone locket. It is hand crafted by skilled local jewellery designers. 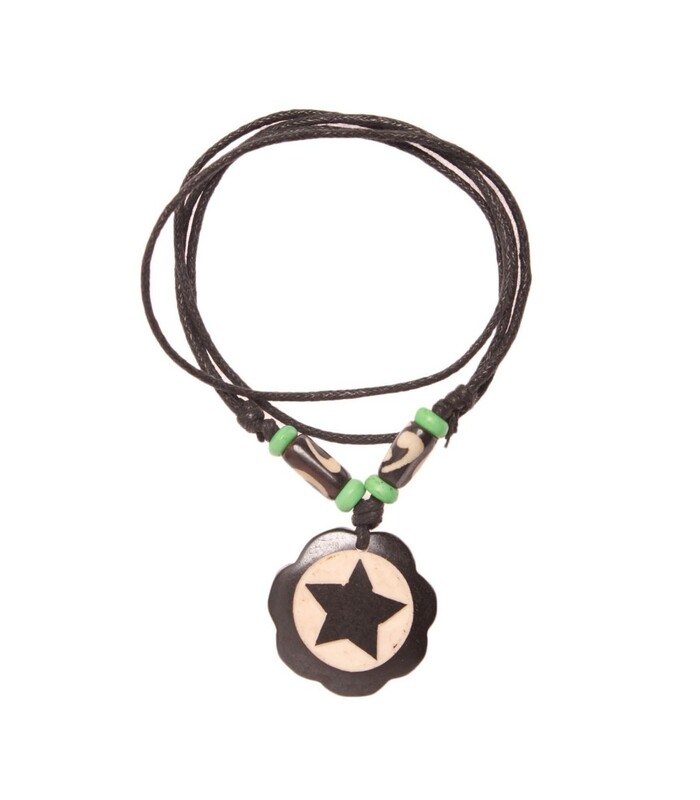 It is a perfect locket to complete your bohemian look. The black cord can be adjusted as per ones preference.